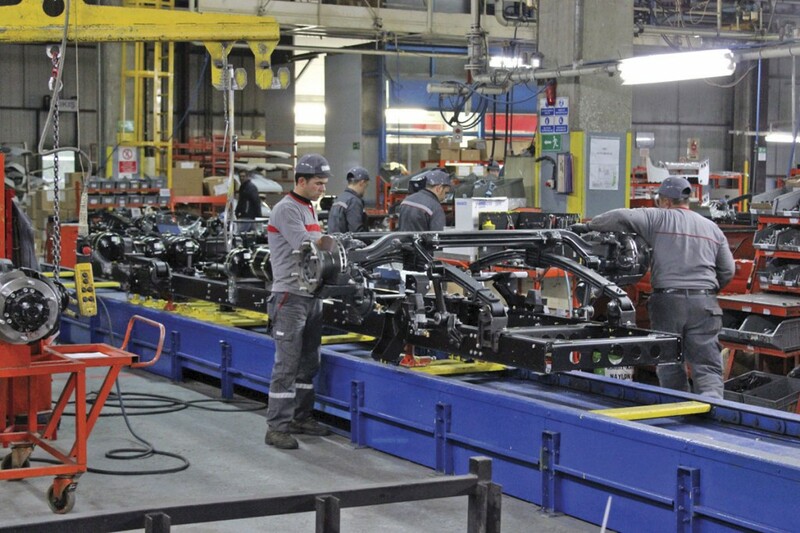 Turkey has become a key manufacturing location for the European market and many others beyond, but it isn’t only the European brands that have bus and coach building facilities there. 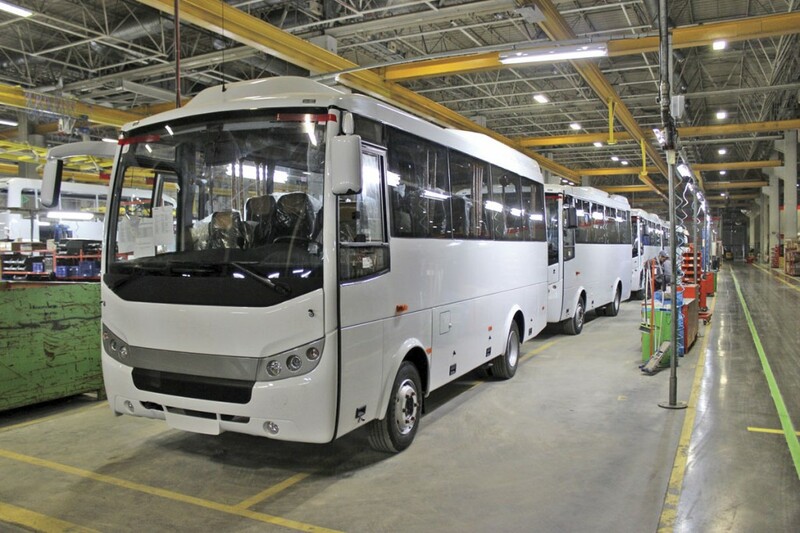 Turkey’s indigenous bus manufacturing industry is both well established and strong and strongest among these companies, particularly in the bus market, is Otokar. In 2013, when Istanbul placed uncharacteristically large orders, it took a 60% share of the Turkish bus market, though 2014’s figure of 40% remains an impressive one. As well as a full bus range that will shortly include an articulated model, it has a wide range of offerings for the minibus, midicoach and interurban markets, though no full sized coach model and with no plans to introduce one. It is already represented in Europe where it has a longstanding presence in the French and Benelux markets and a growing presence in Italy, Spain and Germany. In France it was represented by the Fast Group for many years though this arrangement ceased during the period the French company was in administration and sales are handled from the headquarters of Otokar Europe at Roissy near to the Paris Charles de Gaulle airport. Otokar Europe was set up in 2011 and has had its own sales and marketing team since April 2012. 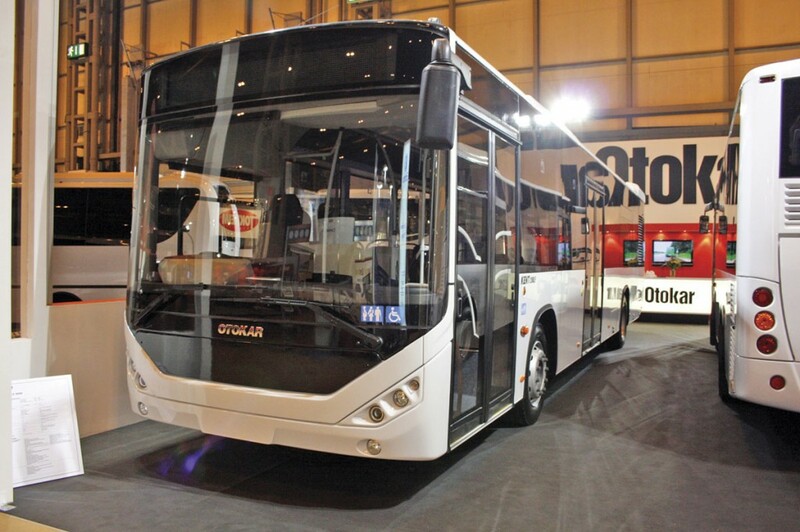 During last year’s Euro Bus Expo show in Birmingham, at which Otokar exhibited right hand drive vehicles, I was invited to visit the plant by Ali Murat, General Manager of Otokar Europe, an offer I readily accepted. Last week I flew to Turkey where I met up with Ali Murat, International Sales & Marketing Manager, Berkan Saglam and Denis Toublanc, Otokar Europe’s Marketing Manager. We also met with senior Otokar management team members, Ali Riza Alptekin who is the Assistant General Manager – Production and Supply, and Huseyin Odabas, Assistant General Manager – Finance. Ali Riza Alpetkin’s considerable experience included a spell working with Honda in the UK at its Swindon plant, and when we discussed the UK market he was familiar with not only the companies involved but also the individuals and recent role changes. In Turkey, the main industrial groups are family run enterprises with publicly recognised senior figures. Otokar is part of the biggest of these conglomerates, the Koc group, which is responsible for approximately 10% of Turkish GDP and tax and employs 80,000 people in 88 companies worldwide. It has extensive interests in four key sectors: energy, automotive, consumer durables and finance, as well as smaller holdings in a number of other areas including tourism, food and IT. Across the group revenue was €26billion (£19.47bn) in 2013 with an operating profit of €1.47bn (£1.1bn). Of this, 53% was derived from the energy operations which include Turkey’s biggest oil refinery. 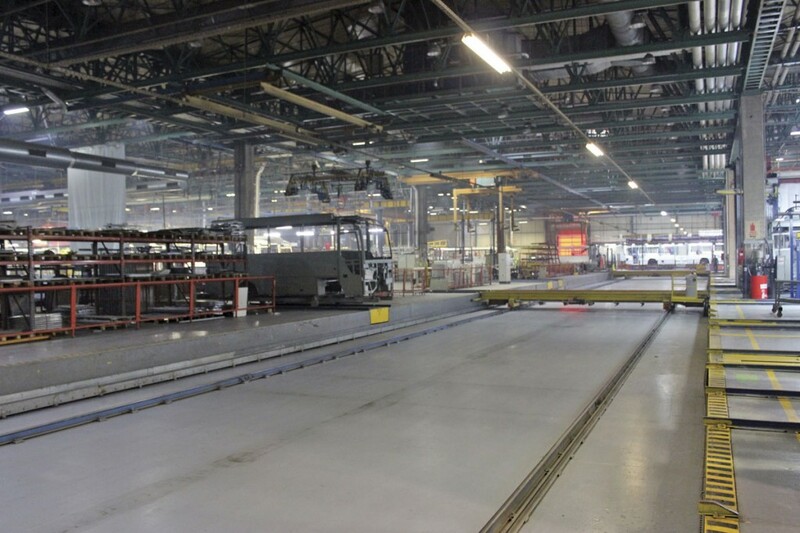 The automotive operations represented 20% of turnover and are not limited to bus and coach manufacturing. Koc Group has a variety of automotive interests of which Otokar is one. Others include the Ford Otosan operation which now builds all Ford Transits as well as some other models and also imports all Ford models for the Turkish market. TOFAS has a similar set up with FIAT Group manufacturing some models and importing the rest for the Turkish market Other brands represented through importership/dealership arrangements include Fiat, Alfa Romeo, Chrysler, Maserati and Ferrari. Turk Tractor, a joint venture with New Holland, is the biggest tractor manufacturing company and biggest exporter of tractors in Turkey, concentrating on assembly. Otokar has over 2,200 employees, 61 bus and coach distributors and dealers, exports to 40 countries and in 2014 manufactured 4,266 commercial vehicles including 2,484 buses. Sales figures were 2,054 to the Turkish market and 397 exports, and there were also 1,412 trailers, following the acquisition and subsequent development of the products of Istanbul Fruehauf AS during the 2000s. In addition, through a joint venture with the Chinese Foton concern instigated in 2013, there were 600 8.5tonne Atlas truck chassis assembled, a figure that is expected to increase this year. In addition to these operations, there is a major defence vehicle building operation producing all manner of armoured vehicles including eight wheel amphibious models. Otokar has also won the Government tender to build the new Turkish battle tank, with the first of five prototype models already completed. There is also an arrangement whereby Land Rover Defenders are built under licence, an arrangement that dates back to the 1980s. Separately listed on the stock exchange, Otokar itself had a turnover of €554m (£414.95m) in 2013. Of this, 36% was defence business related and a small proportion was ‘other’ including items such as renting out the test facilities, but the overwhelming majority of the rest was commercial vehicles, most of it buses. Exports represented 16% of turnover and home market sales 84%. On average, the annual research and development budget for buses is between €4-5m (£3-3.75m). The bus production facilities were originally located in Istanbul but as the city grew the plant was engulfed and it became impossible to expand, prompting a move in 1997 to a big new site alongside Lake Sapanca in Sakarya province, about 130km from Istanbul on the Asian side of the Bosphorous. Subsequently extended with the 2008 acquisition of the former Otoyol premises and facilities owned by Iveco, it occupies 552,000 sqm. The enlarged site has buildings covering 141,000sq.m of it and the annual capacity currently stands at 10,700 units. Although Otokar was founded in 1963, it was not until the flowing year that the first buses were built under licence to Magirus Deutz. Since that time the company has built well over 30,000 buses in addition to 53,000 other vehicles. In 1967 a 27-seat midicoach was added to the range and in 1974 the first of many thousands of Dolmus minibuses (small hop on hop off minibuses) for local transportation were produced. In the same year the previously independent operation was acquired by the Koc group. 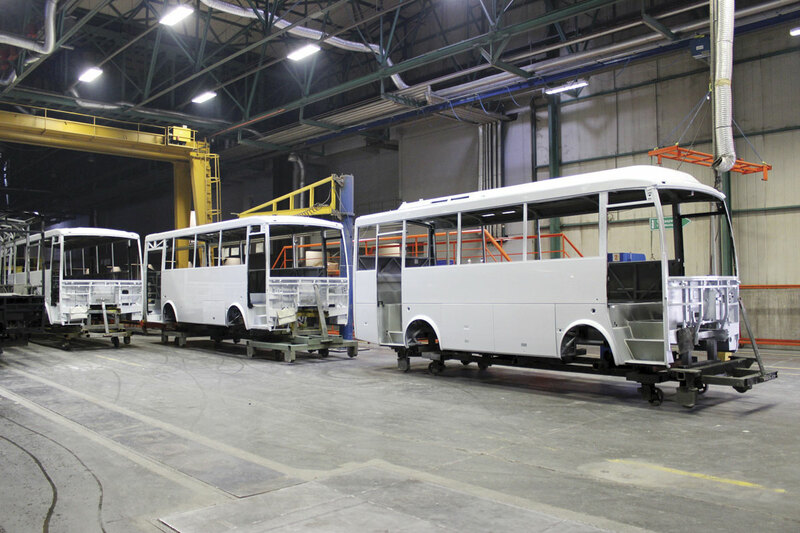 During the 1980s full sized city bus production began, but it was not until the mid 2000s that the current range really began to take shape. The seven metre Navigo was followed in 2007 by the nine metre Vectio and Vectio LE, in 2009 by the Centro urban microbus and in 2010 by the Kent 12m city bus and the Territo 12m and 13.26m interurban dual purpose type coach. 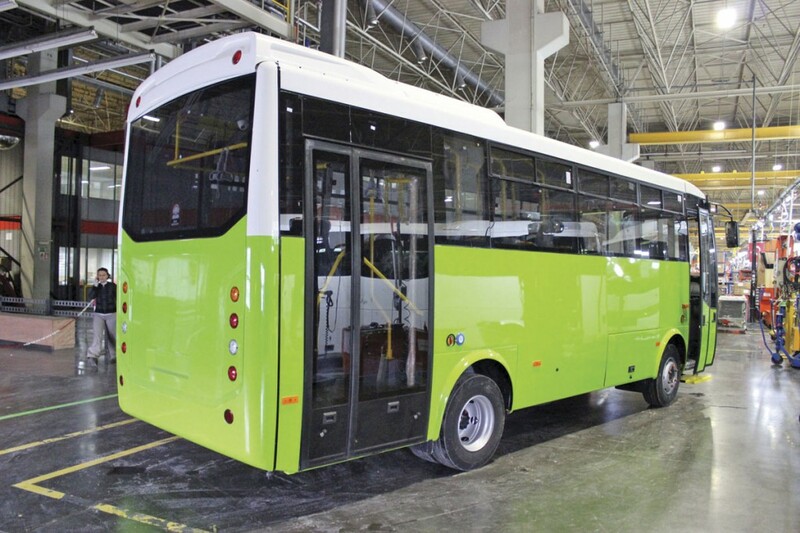 Subsequent developments include a full electric bus (in conjunction with the French Power Vehicle Industries – PVI – concern) and the articulated version of the Kent city bus. Today, there are currently three main sectors in which the business operates: city bus, intercity and tourism. Model designations carry either C, U or T to indicate this (while low entry models also carry an LE suffix). To meet these requirements there are three main product ranges. 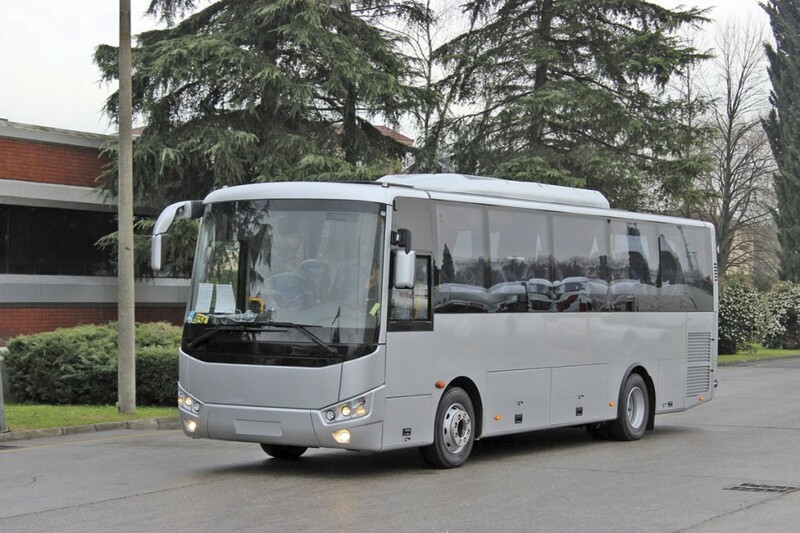 In the tourism sector there are three different length variants of the Navigo T, 7.1m, 7.7m and 8.4m as well as an attractive 10m version of the Vectio. I was told that it was unlikely that a full sized coach model would be introduced. In the interurban sector there is a full range starting with the 7.7m Navigo U while the 9.265m Vectio is offered in both U and U LE versions. Then there is an exclusively interurban model, the Territo which can be supplied as either a 12m or a 13.26m vehicle. The city bus sector is served by 7.7m Navigo C, which has quite a high frame and main floor height but a low rear platform for wheelchairs, the 9.265m Vectio C and the 12m Kent C.
The most recent addition to the bus range, in fact it will not be unveiled until the UITP exhibition in Milan this year, is the articulated version of the Kent. The first examples will be 18.0m long but an 18.75m version is also under development with a Busworld Kortrijk launch likely. 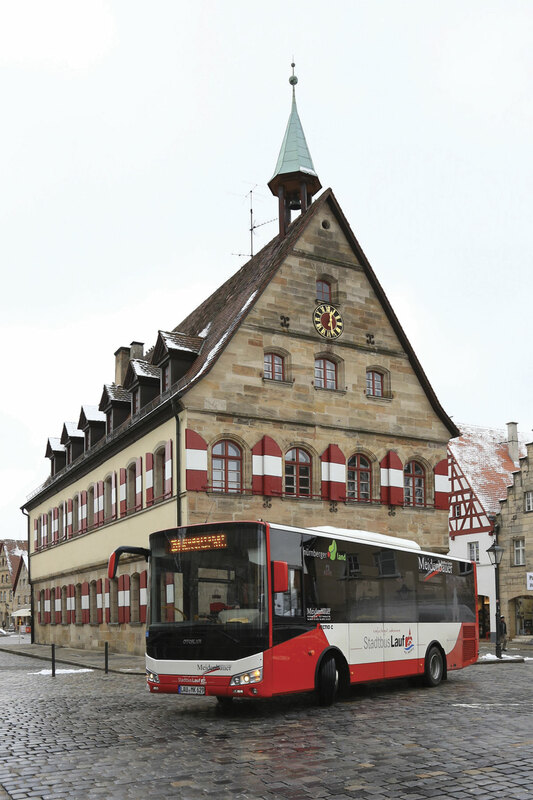 The additions fill the gap in the range and enable the company to bid for European tenders that stipulate a supplier deliver examples of both solo and articulated buses. At the time of going to press, it had not been decided whether to go with Cummins ISL or DAF/Paccar power for the driveline. In Turkey, there will also be a Ford powered option. The Navigo range has a body mounted on a separate chassis. All variants are 2.265m wide, 3.275m high and have a 10-tonne GVW split 4.0-tonnes/6.0-tonnes front/rear. Seating capacities are 31 or 35 in the left hand drive T, 20 seats and up to 26 standees in the C, and 31 or 36 seats plus six standees in the U version. The front mounted engine is the Cummins ISBe four-cylinder unit developing 180hp at 2,300rpm and 700Nm at 1,200rpm. Depending on model it can either have a manual six-speed Eaton gearbox or a six-speed Allison automatic transmission. The wheels are 17.5-inch and the differential is by Ege Industry. Vectio is a rear engined integral with a load bearing body structure incorporating driveline modules. Heights are between 3.146m and 3.255m depending on model and the width is either 2.41m (T and U) or 2.35m (C and U-LE). Originally fitted with the six-cylinder MAN D0836 engine as standard for Euro6, MAN’s decision to cease selling engine units for 12m vehicles has prompted a rethink in favour of the Cummins four-cylinder or six-cylinder units. The rear axle and differential are by Dana and the automatic transmission options are Voith, ZF or Allison T280R or in certain models a ZF six-speed manual. 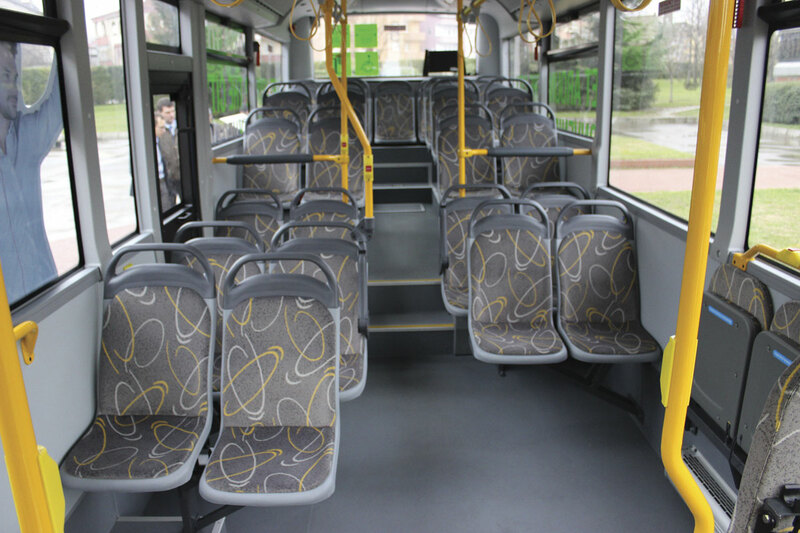 A huge variety of seating options are possible though the ‘standard’ options are 43 seats in the T, 29+21+one wheelchair in the U LE or 25+32+1 wheelchair in the C. Wheels are 19.5 inch with full air disc brakes and a GVW of 13,500kg (U-LE and C) or 14,500kg (T), in all cases with a nine-tonne rear axle. The Vectio U can optionally have a Braun wheelchair lift fitted mid way along the nearside. The Kent is fully integral, rear engined, 12m long city bus with a 5.9m wheelbase built to a width of 2.54m. Seating capacity is 29 plus 65 standees or 29 plus 60 standees and one wheelchair. The engine is the Cummins ISB6.7E6280B, the automatic transmission is by Voith and the axles are ZF. CNG fuelled versions have also been sold in limited numbers. The standard specification in Europe is three doors though the example shown in the UK had two. Last but not least, the Territo U is a rear engined design equipped with the Cummins ISB6.7E6310 engine rated at 310hp (231kW) developing 1,100Nm at 1,200-1,750rpm. It has Mercedes-Benz axles and the choice of ZF manual or Ecolife automatic transmission. Built to a GVW of 19-tonnes it has standard passenger capacities of either 51+4tip-ups or one wheelchair or 55 in the 12m and 59+4 tip-ups in the 13.26m. The width is 2.54m, height is 3.217m and the wheelbase is 5.9m and luggage capacity (underfloor) is 4.0cu.m on the 12m and 5.00cu.m on the 13.26m. There is also a more basic version of the Navigo called the Tempo introduced in 2013 for very price conscious markets and a low floor microbus called the Centro which remains available in Euro5. This is 5.89m long and has an Iveco F1C three-litre engine. Navigos sold within Turkey are marketed as Sultans while Vectios are marketed under the Doruk name, which means peak in Turkish. The Kent remains the Kent in all markets, though in Turkish it means city. 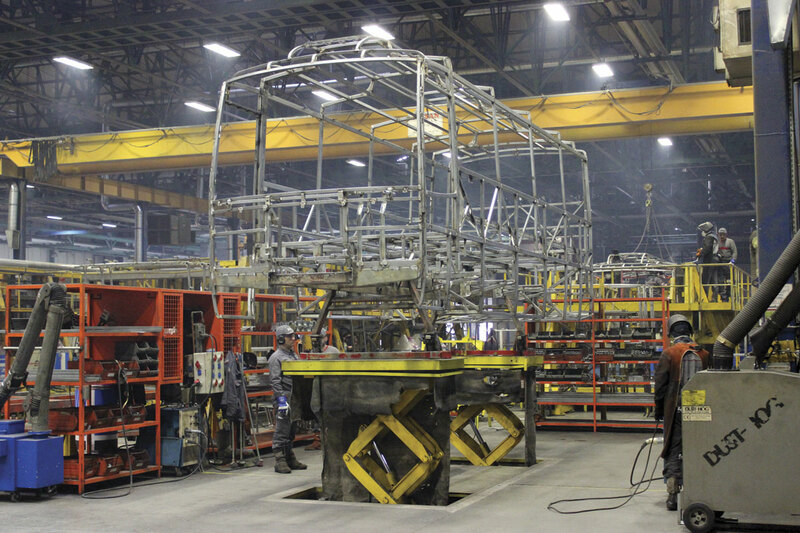 The construction of all buses and coaches begins in the same area of the plant where all welding is undertaken. Three big yellow jigs stand alongside each other. These are used to assemble the structures of all vehicles, the first handling minibuses and minicoaches from 7.1m to 8.4m; the second everything between 9.2m and 10.4m and the third handling the 12m and 13.2m Kent and Territo models. 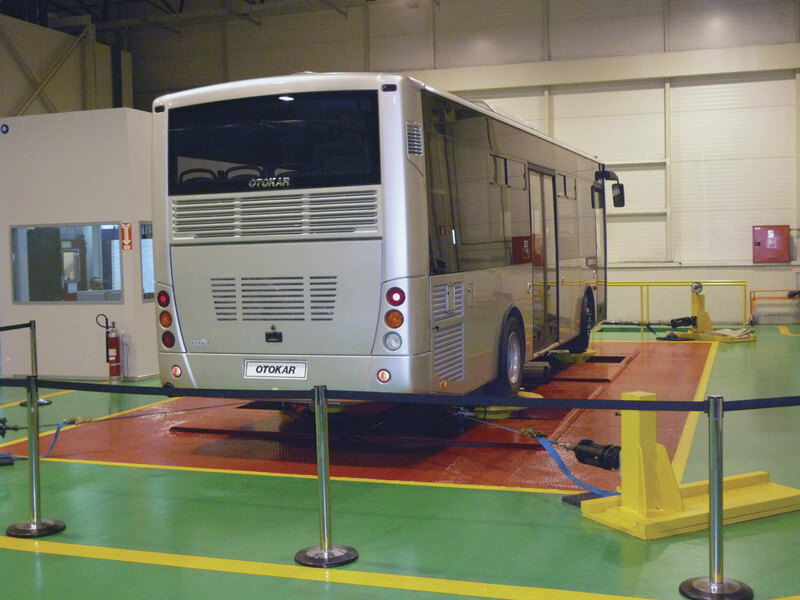 A fourth such jig is about to be installed to handle articulated buses, the production of which for the Turkish market starts next month, the initial examples having been built in the development department. The side panels and some of the roof structures come in from suppliers and are married up with the rest of the frame in the jig. Despite these sections being sourced from contractors outside the group, there is a considerable degree of vertical integration within the plant. 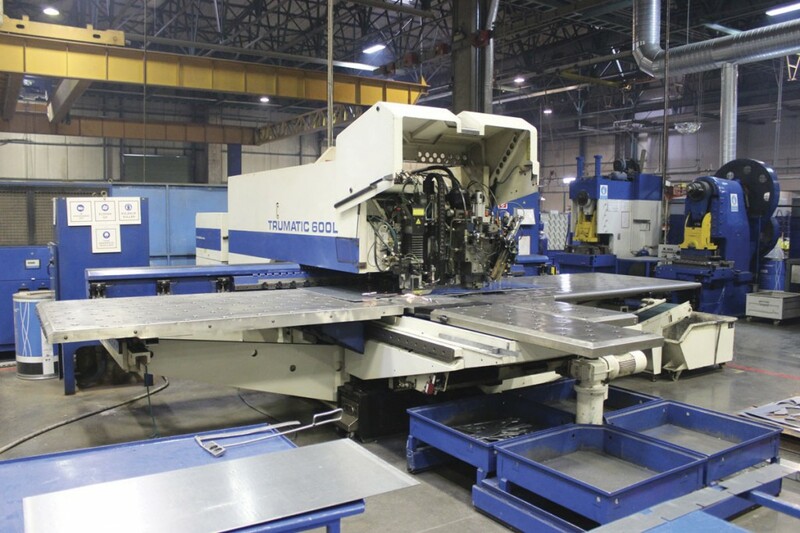 There are quite a number of large CNC cutting machines in evidence as well as laser cutting machines, presses and bending machines and a machine to take steel off the rolls on which it is delivered. Welding cells were busily assembling the cut metal pieces for inclusion in vehicles. Galvanised steel is used for panelling along with some electro-galvanised parts. All models are built on lines with a quality inspector checking everything at each stage. After the structures are welded, the frames go into sanding units to clean off any materials left after welding and then on to panelling. Once this is complete the thorough painting process can be completed. 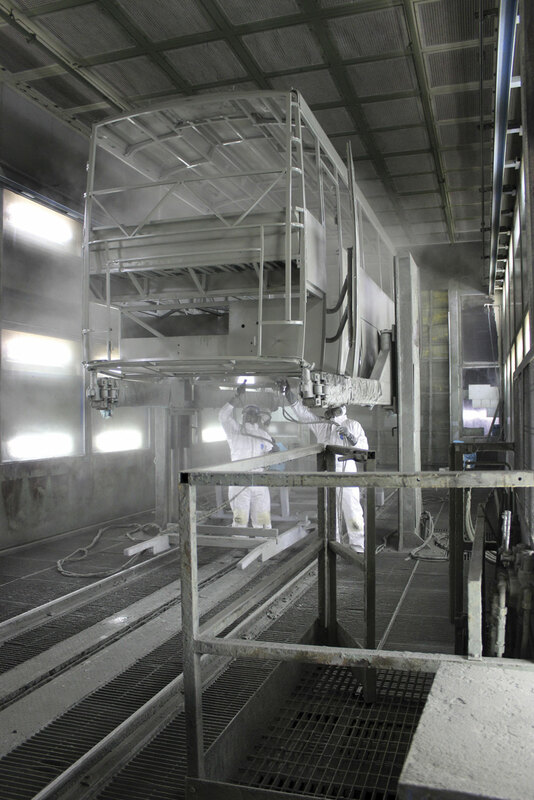 This multi stage process has booths located alongside each other with access and egress via massive traversers on either side of the painting and preparation bays. All Otokar buses are painted here and so are the military models, though not the trailers. After a cleaning with solvent stage, a 90micron coating of epoxy primer is applied and this is baked at 80degrees for 20 minutes. 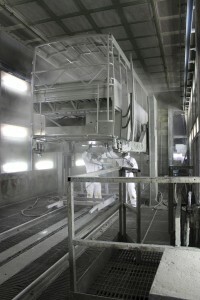 After this, filler is added where necessary and the vehicle goes into another sanding cabin and then on to a second primer cabin where a 400 micron underbody coating is also applied. The baking process is then repeated. This method has been employed for the past ten years on commercial vehicles and no corrosion issues have been experienced since it was adopted. Top coat is a BASF two pack acrylic applied 50-60 microns deep depending on colour. From painting vehicles transfer to the finishing lines where Navigos are united with their chassis and then pass on stage by stage to completion. On average, build time is between three and four weeks. 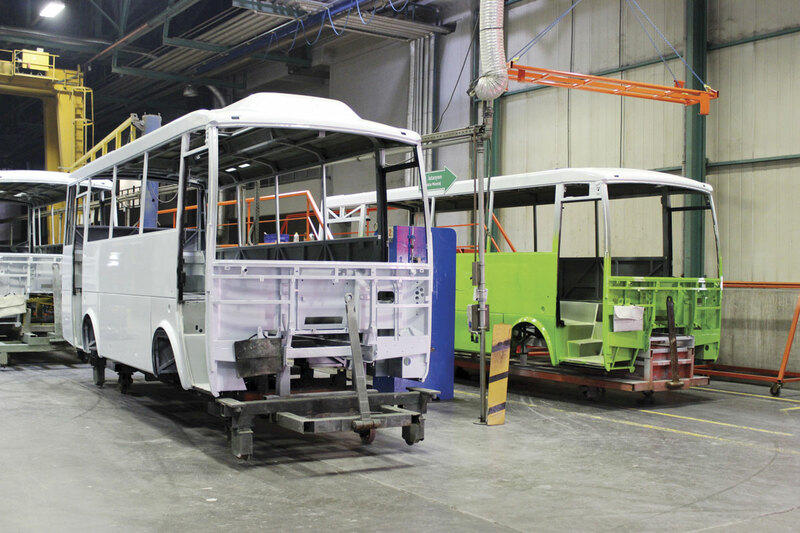 Having delivered 900 Kents to Istanbul (with five year service contracts) and around 100 to other locations including Izmir and Antalya, the production team are now as well drilled in the assembly of the 12m low floor bus as they were with the Navigo and Vectio models that they have built in larger numbers and for a longer period. Production is running at the maximum capacity of 12 a day for the smaller models and currently at two a day for the 9m-10m Vectio range. Key driveline components are sourced in Europe including the engines, transmissions and in most cases the axles. The bigger members of the range, the Kent and Territo, have all European key components including ZF axles. On the new articulated version of the Kent the articulation unit is by Hubner. Typically about 60-65% of content will be Turkish sourced, dropping to around 57% on some of the export products. For some price critical markets cheaper component alternatives are incorporated. The Tempo version of the Navigo has an engine supplied by MWM of South America and transmission from JAC in China. In the first nine months of 2014 $2.9m (£1,92m) was spent on research and development at Otokar. In developing the range the company has absolutely world class design and testing facilities at its disposal. There are 150 engineers employed and to date 81 patents and industrial designs are held. We were shown around these during the visit though the presence of armoured vehicles in some sections meant photography was not possible. Very visually impressive was the test department where a 52-tonne capacity four post road and off road simulator, on which each post moves independently of the other three, puts vehicles through accelerated whole life tests. Here one of the military products, anchored at each corner, was half way through a four month, round the clock assault from the system to check the tensions and connections as well as all welded areas in a simulation equivalent to a million miles. Cameras monitor the entire process and data is fed back to the control centre. The same test is carried out on buses. In the same building is a climatic chamber installed in 2011 that can create conditions between -45 and +60 degrees and can go from one extreme to the other within an hour. Humidity levels of up to 95% can also be created. At 17m long it is the biggest in Turkey. Across the road Otokar’s EMC Centre has the biggest anechoic electro-magnetic compatibility chamber in Turkey, opened in 2012. As well as meeting Otokar’s needs, it is also in demand from other automotive producers in Turkey. Approximately 1400m² with high ceilings, the chamber is used to test vehicles and electronic equipment. This testing ensures all vehicles and their equipment are not affected by electro magnetic fields and impulses and also that they do not create them. Once the doors are closed there is no electromagnetic energy within the building. All monitoring is done from a remote office via cameras because the effect within the chamber can be similar to that in a microwave. Engineers reported that as experience with it builds up. The number of electro-magnetic compatibility issues encountered continue to decline. It has proved extremely useful because previously a vehicle had to be taken to MIRA or Germany and timeframes were often limiting. In addition to the specialist research building there is a test track complete with a banked section and there is also a steep hill for gradeability checks. These test facilities back up the varied capabilities of the research and development department with its state of the art CAD capabilities. It is divided into five groups covering: trailer, military, front engined bus, rear engined bus and the special tank project for which Otokar won the tender. Once a vehicle has been designed using a CATIA system a prototype is built and then tested to enable the anticipated performance to be compared with the actual. In this way, the systems and the vehicles can be continually refined. It is always fascinating to see how computers can put vehicles through tests on a computer screen with the changing colours indicating the different stresses on structures and components. Although the bulk of Otokar production is still supplied to the home market, the desire to grow exports is a very real one and the aim is to be selling 1,000 units annually outside Turkey by 2017. 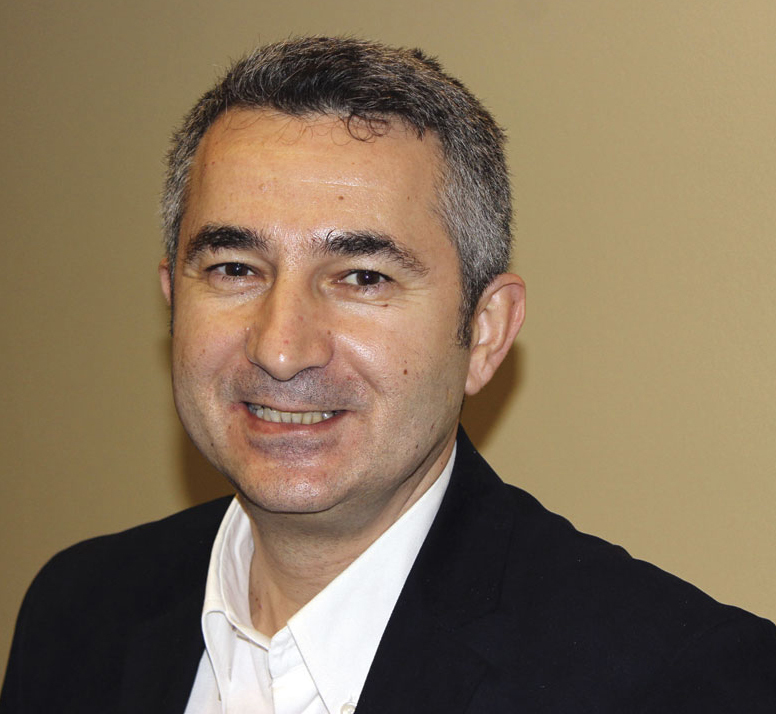 Ali Riza Alpetkin sees the differentiation of customer expectations in different countries and markets as one of the biggest challenges the company faces. ‘Quantities are small but expectations are big, it’s a problem for everybody,’ he said. Otokar has indicated its intention to tackle the UK market by displaying at Euro Bus Expo in both 2010 and 2014 and has also shown that despite its wish to sell here it is not prepared to do so unless the arrangements it can put in place match the level of service and support it would want to offer. For this reason some potential distribution offers have not been proceeded with. Talking to Ali Murat, he said that they were now in touch with potential distributors and although nothing was yet finalised he hoped that he would be able to announce something by April or May of this year. 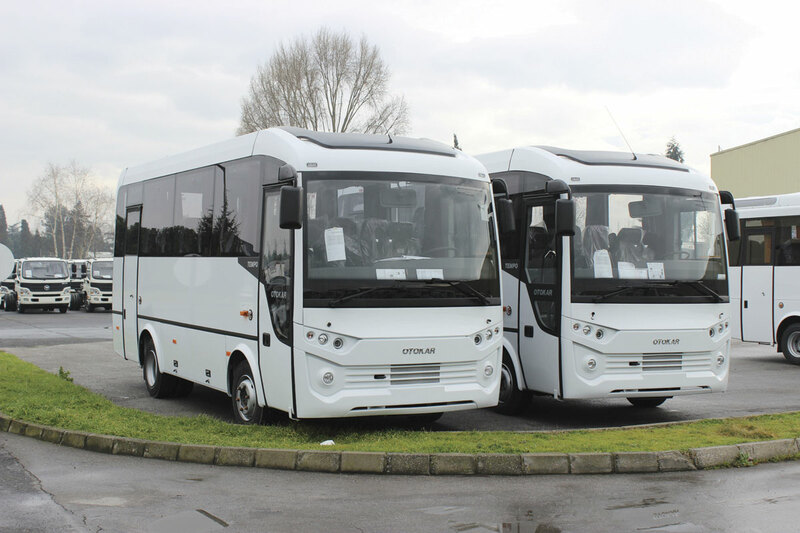 Confident in what it produces and its quality, one of Ali Murat’s targets is to produce demonstration vehicles which can be put into the bigger bus buying fleets to give them experience of the product. Otokar intends that its main attention will be to the bus market, though my personal belief is that the small coach market is where it has the product that can most easily make immediate inroads in the UK. The two vehicles shown in Birmingham were the 9.64m Vectio C single door low entry midibus and an 8.4m Navigo T coach. The Vectio C, as shown, featured a Cummins ISB4.5 250hp Euro6 engine, Allison T280R automatic transmission and independent front suspension, accommodating 29 fixed and three folding seats and up to 33 standees. It had two steps ahead of the rear axle and beyond this all seats were podium mounted. There are plans to offer the six-cylinder Cummins engine at a later stage. The Navigo T was also powered by an Allison (2200)/Cummins ISB4.5 Euro6 combination, though rated at 180hp. It had a wood effect floor, three cubic metres of luggage capacity and a rear offside emergency door with an odd single seat set on its own alongside. Slight repositioning of the emergency door may enable one extra seat to be added to the 36 seat capacity. A toilet option is already offered in versions for Germany so the feature should not represent a problem in the UK although it does lose three sets from the total. Other options include leather seat trim, a fridge, a range of floor coverings, kitchen units and 2+1 seating with a DVD and TFT screen already standard. The underfloor luggage capacity of 3.0 cubic metres. I think the combination of the relative simplicity of the Navigo T coupled with its price tag, capacity, build quality and a retail price expected to be around £109,000 give this considerable potential. Demonstrators and commercial availability are expected in 2015. 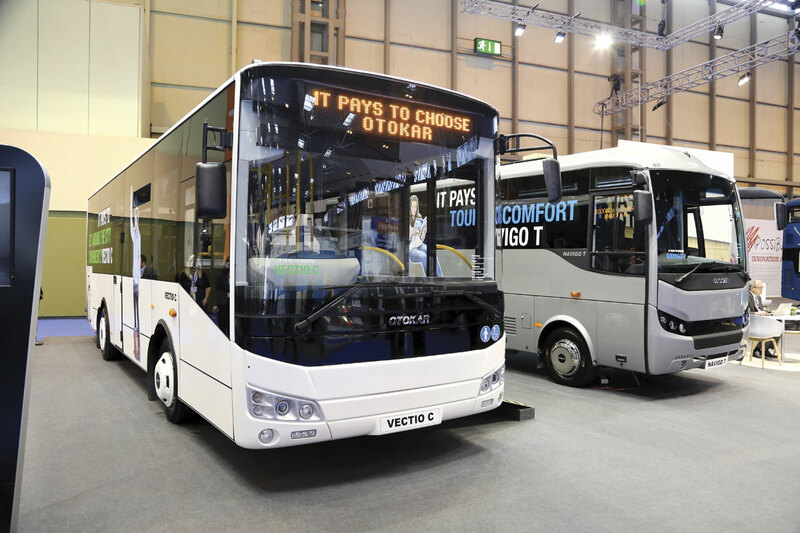 In comparison, the Vectio C with its £125,000 anticipated retail price will have to compete with the likes of ADL, Wrightbus and Optare, which will not be an easy task. It is hoped that a slightly longer wheelbase Vectio giving an additional row of seats can be offered in addition. Otokar has also developed the Kent in right hand drive as was witnessed in 2010, but the company recognises that the market for 12m heavyweight city buses in the UK is a rapidly diminishing one. My hosts and I joined Ali Riza Alptekin and Huseyin Odabas for lunch. While we were there, the local Mayor and Governor, who were dining in the same restaurant, both made a point of coming over and saying hello to the Otokar management team, an indication of the regard in which the area’s biggest employer is held locally. The plant is modern, organised and well equipped, producing thoroughly developed vehicles of good quality that are designed to perform to a high standard throughout their lives. There are still lessons that can be learned about detail and possibly flexibility but this is a very competent manufacturing operation and the products it manufactures have been conceived with an eye to winning repeat business. When they find a distributor that can match their inspirations, they have the determination and the wherewithal to become a respected player.